We use state of the art 3D computer generated design technology that allows us and our clients to see their frame from every angle during the design process. 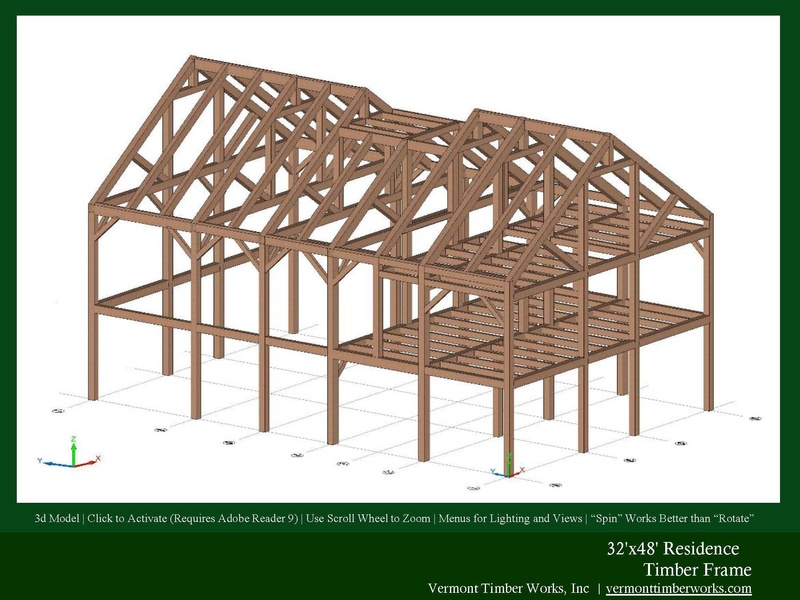 View our timber frame home plans, elevations and perspectives. 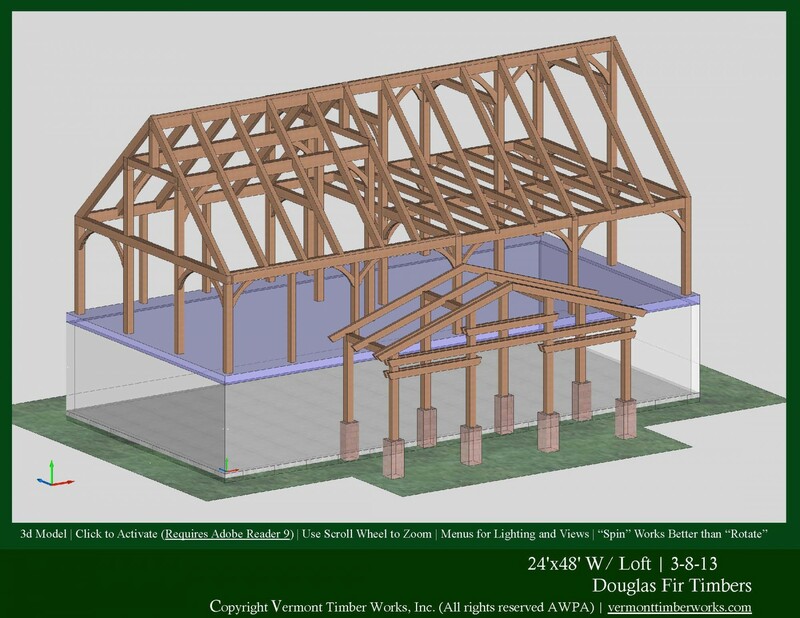 Below, are 3d renderings of timber frame homes that range from small to large and simple to complex. This is home has two stories and a loft. 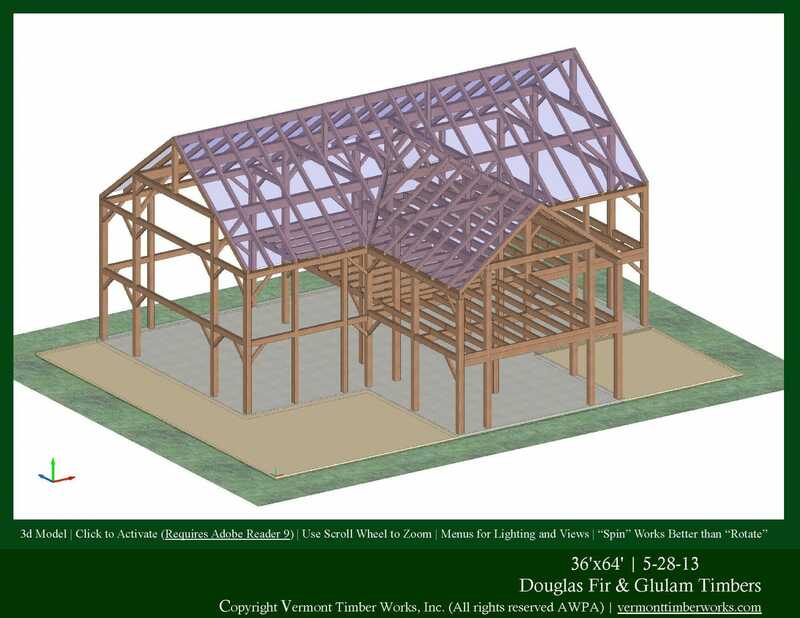 It features curved braces, douglas fir timbers, and traditional joinery. This 28 foot by 30 foot home has both principal purlins and common rafters. 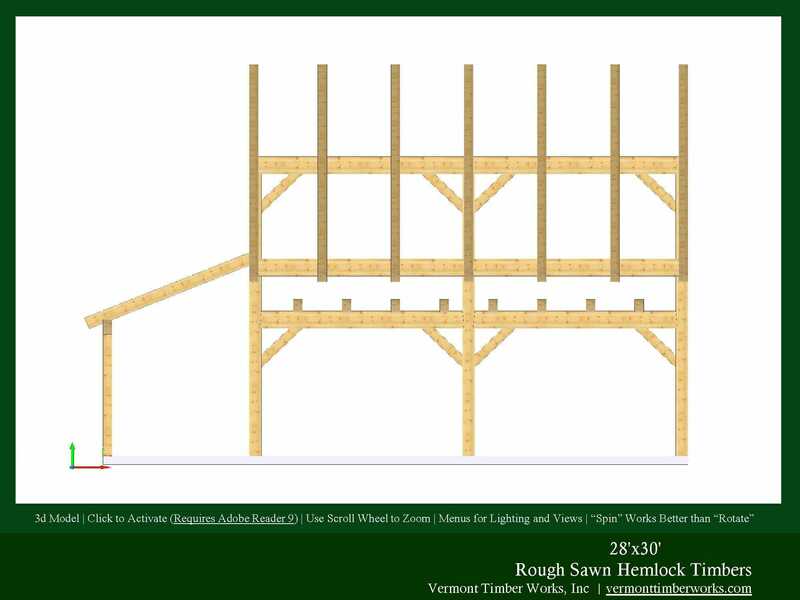 It is designed to be constructed using rough sawn hemlock timbers. This is a three story home with a loft. 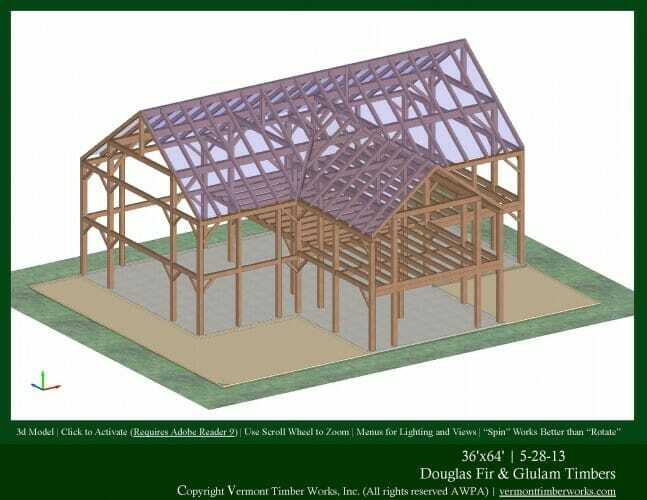 This is a three story timber frame home that features douglas fir timber, principal purlins, glulaminated beams, and traditional joinery.